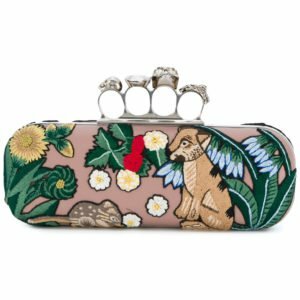 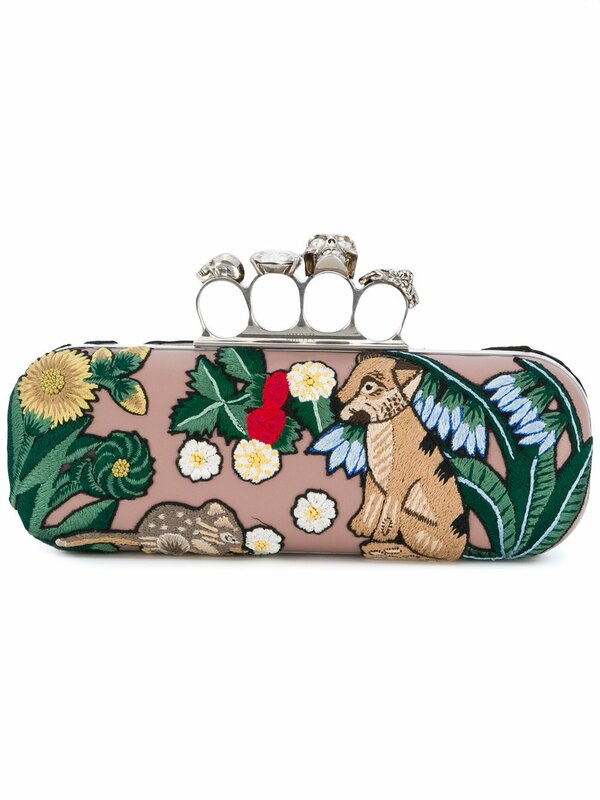 Alexander McQueen’s iconic knuckle box clutch gets a fresh makeover with this new embroidered design. 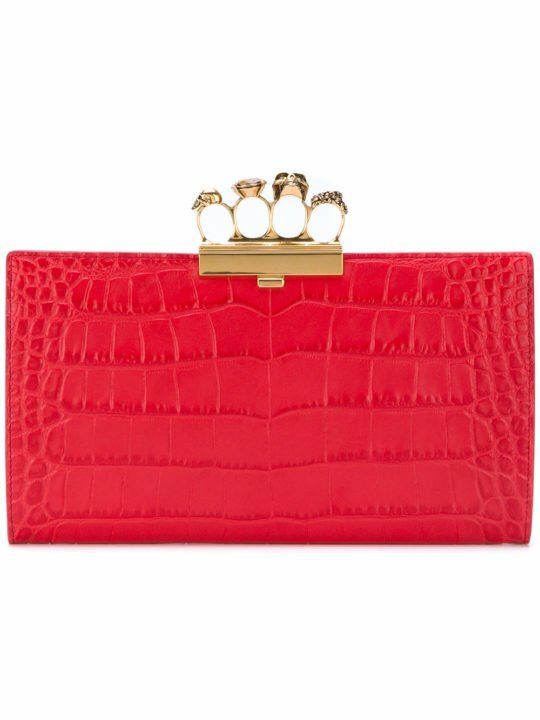 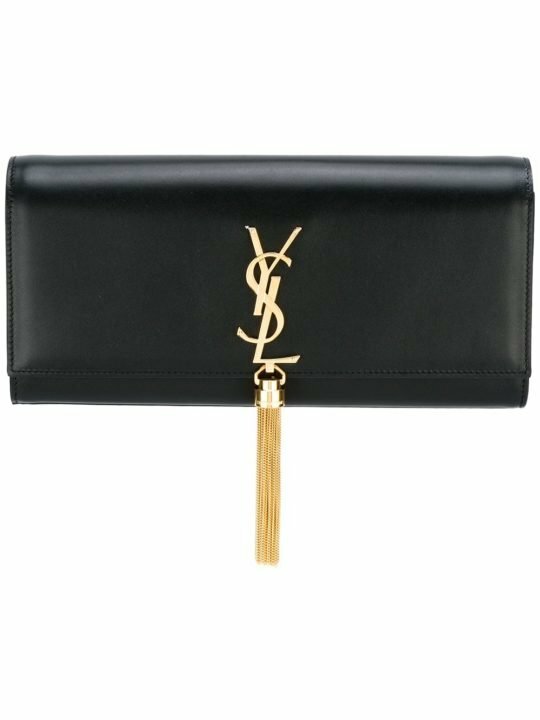 This rose leather and cotton clutch features an oblong body, handle and metal hardware with a silver-tone finish. 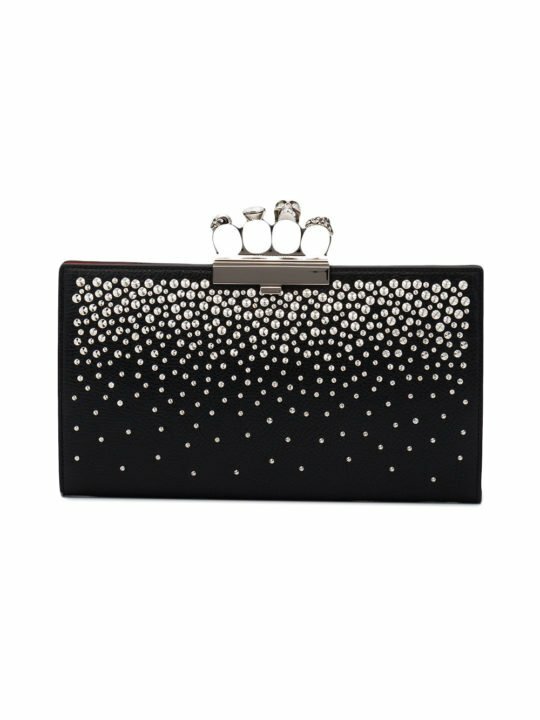 Add this to your little black dress for high-octane edgy glamour Alexander McQueen is renowned for.